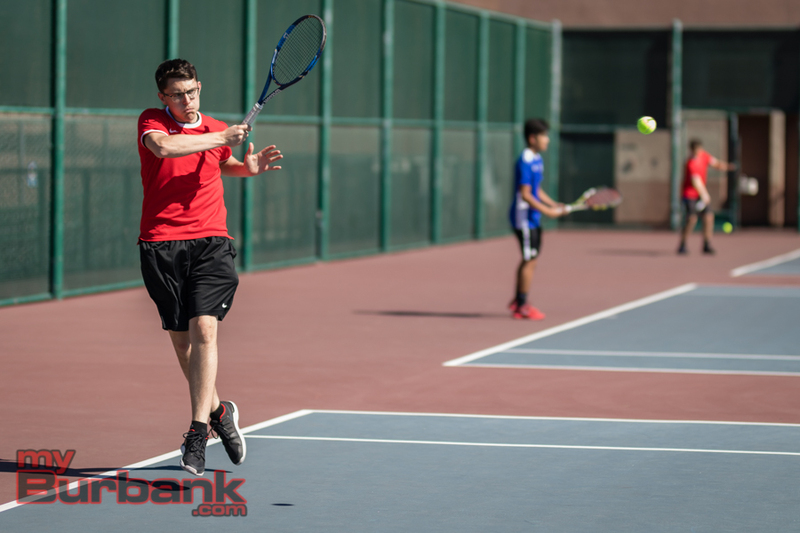 The gap between the Burbank and Burroughs boys’ tennis teams clearly got closer when the two teams squared off Thursday in the final Pacific League match for both teams. But in the end, Burbank showed it could come through under pressure, winning 10-8 on the road against the Indians. 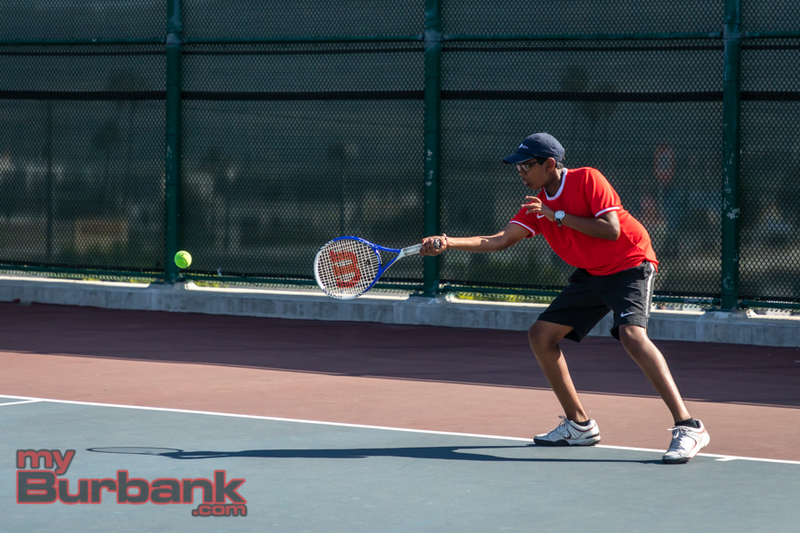 Burbank (11-5, 8-4 in the league), counted on Sumera and partner Parker Katz to earn a 6-3 win over Burroughs team of Kiet Hoang and Andre Fabian. Fabian was a substitute for Luc Thorn. The Bulldogs won the first meeting between the two teams 12-6. 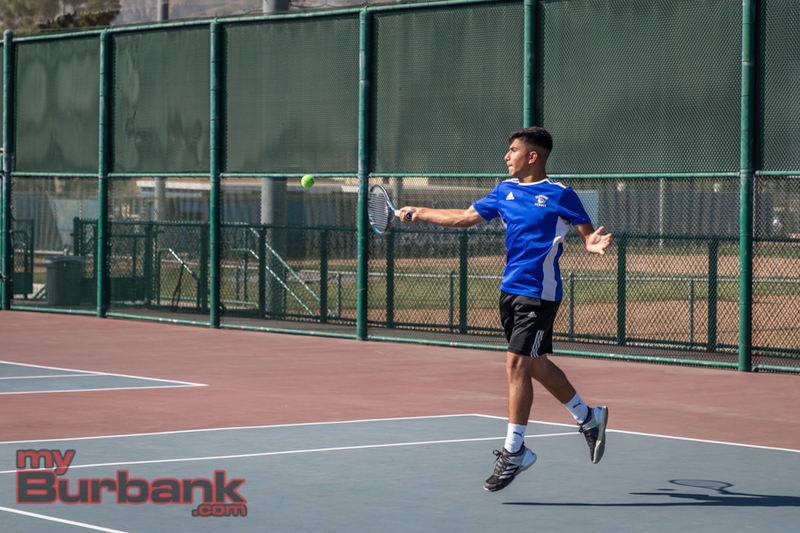 Burbank also got a 6-0 win from the No. 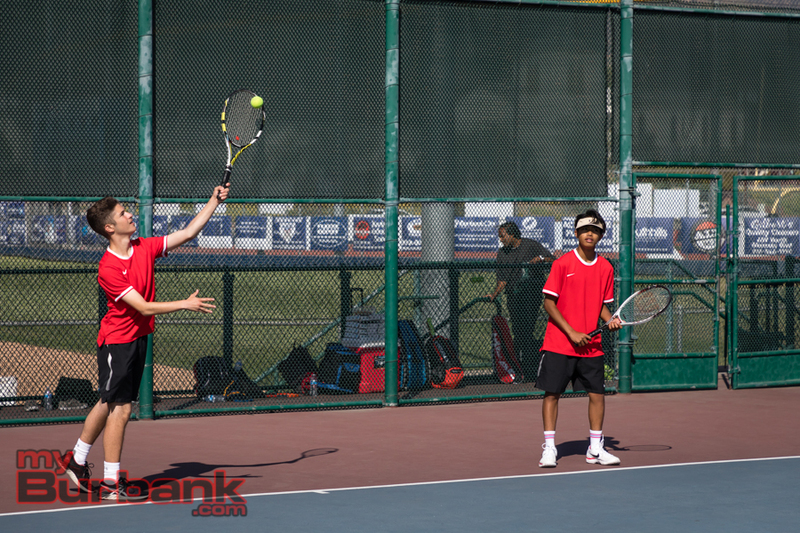 1 doubles team of Luciano Dapuetto and Ethan Lee to beat the Burroughs No. 3 team of Daniel Cho and Rafael Munguia. Cho and Munguia had won their first two sets. 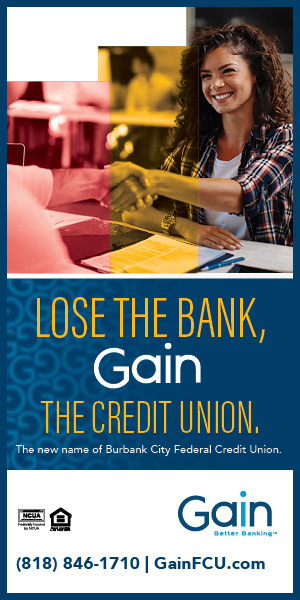 Burbank No. 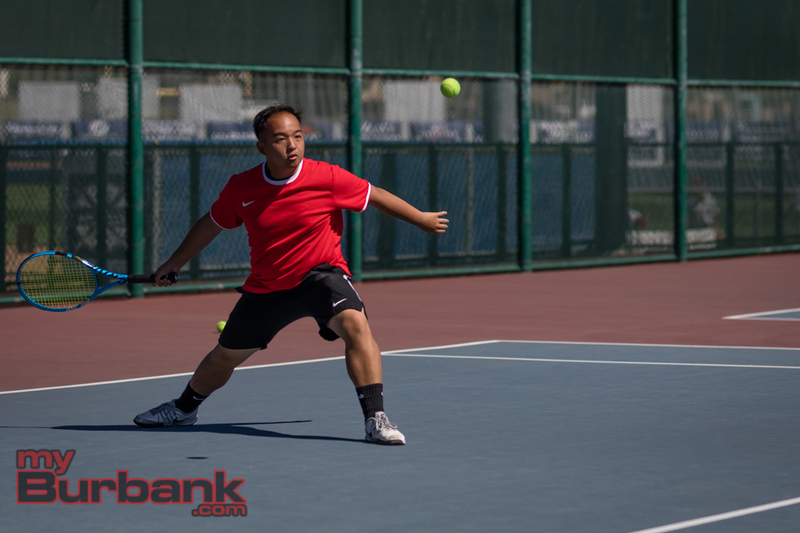 1 player James Lee swept his sets going 6-1 over Burroughs No. 1 Kendric Marcy, 6-2 over No. 2 Samuel Bernardy and 6-0 over No. 3 player Cameron Flowers. 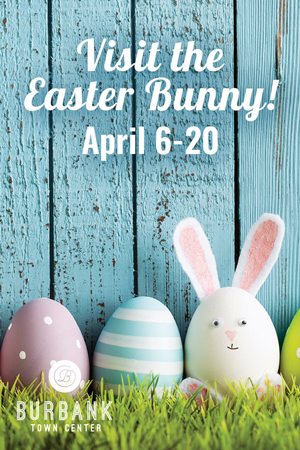 Burbank No. 2 Nathan Soria lost 6-1 to Marcy, 6-1 to Bernardy and defeated Flowers 6-3. 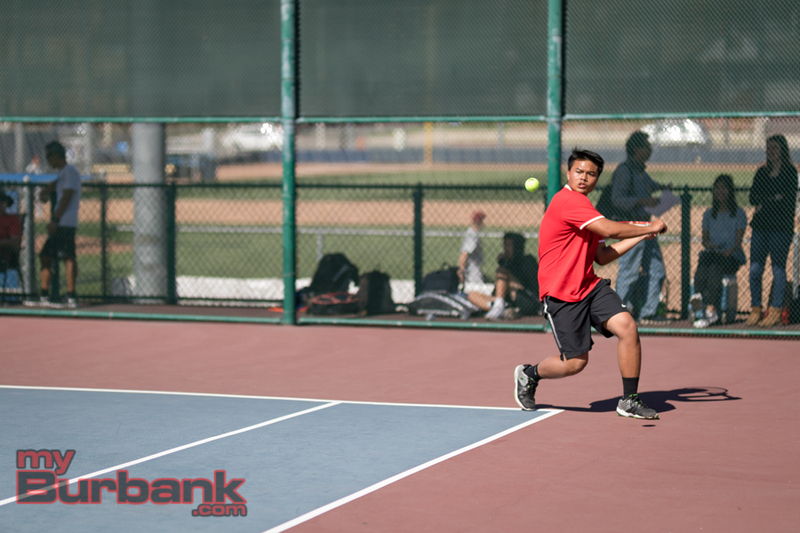 Burroughs (6-8 overall, 6-6 in the league) swept the Bulldogs in their No. 3 singles spot. Marcy defeated substitute Sid Dendulum 6-0. Bernardy defeated Alex Galstyan 6-3 and Flowers defeated Galstyan, also by a 6-3 score. 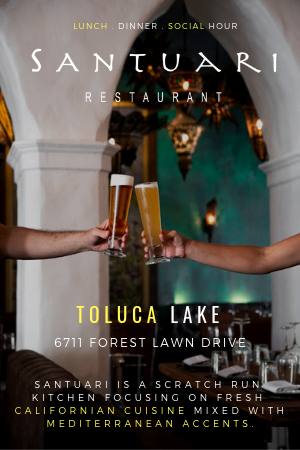 In doubles, the Burbank No. 1 team of Dapuetto and Lee went 7-6 (7-2) over Burroughs No. 1 Thorn and Hoang. They defeated the Burroughs No. 2 team of Sebastian Muga and Mark Do 6-1. Katz and Sumera went 7-6 over Muga and Do and lost 7-6 (7-5) to Cho and Munguia. Burbank’s No. 3 team of Abasi Abukusumo and Harout Abgaryan lost 4-6 to Muga and Do and 7-5 to Cho and Munguia. 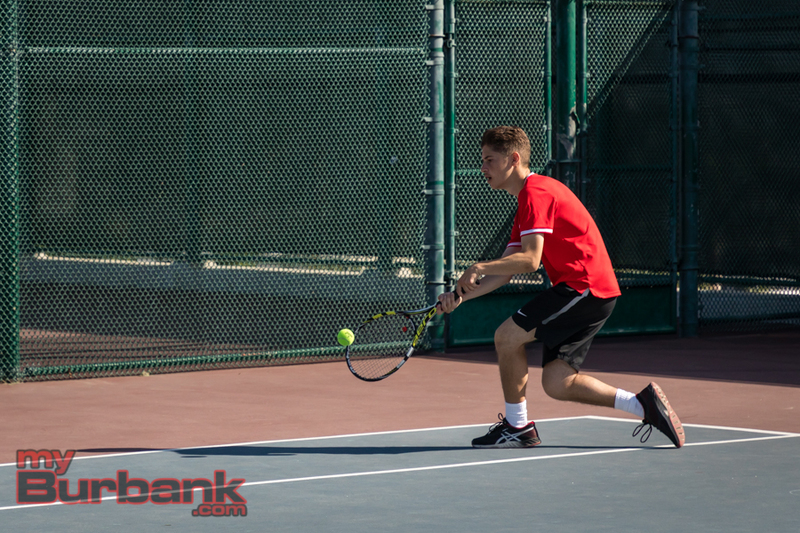 Alex Tsaturyan subbed in for Abgaryan in the 6-1 win over the Burroughs team of Torn and Hoang. 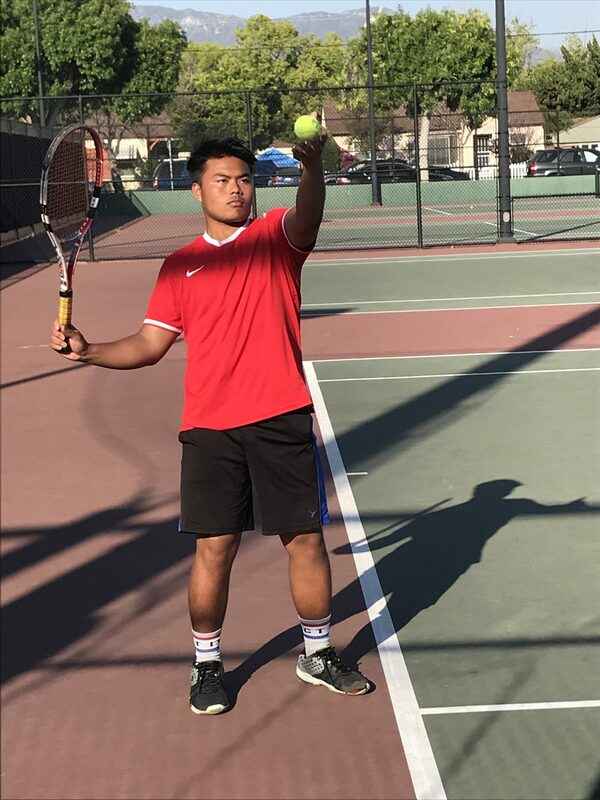 This entry was posted in Sports, Tennis and tagged Abasi Abukusumo, Alex Galstyan, Alex Tsaturyan, Andre Fabian, Burbank boys tennis, Burroughs boys tennis, Cameron Flowers, Daniel Cho, Dominick Sumera, Ethan Lee, Harout Abgaryan, Kendric Marcy, Kiet Hoang, Luc Thorn, luciano dapuetto, Mark Do, Nathan Soria, Parker Katz, Rafael Munguia, Samuel Bernardy, Sebastian Muga, Sid Dendulum on April 26, 2018 by Jim Riggio. 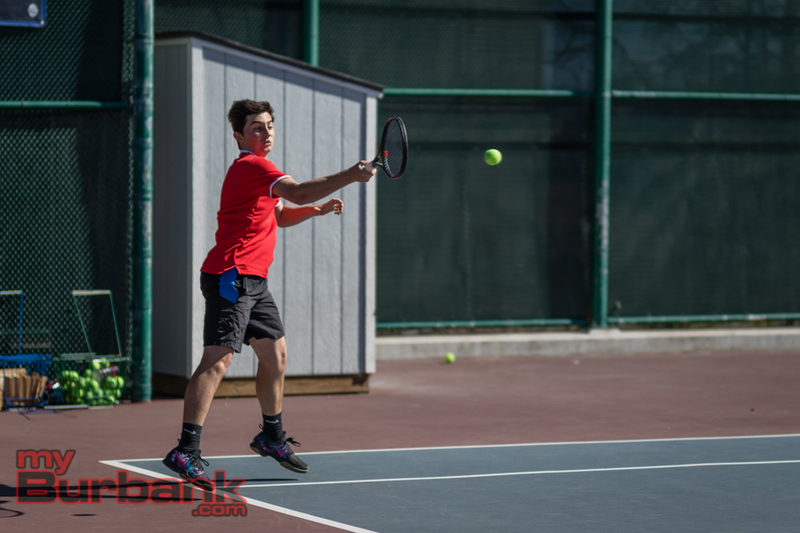 When it comes to boys’ tennis, the Burbank High team still holds the edge over Burroughs after Tuesday’s 12-6 Pacific League victory, but it’s clear that the talent gap isn’t as wide. 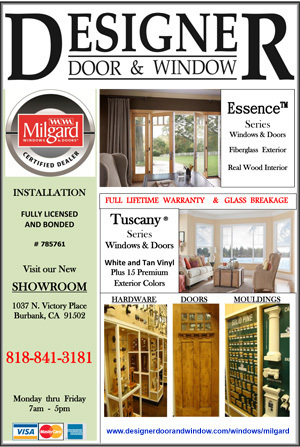 Just a season ago, the Bulldogs placed third in league behind perennial power Arcadia and second-place Crescenta Valley, made the CIF Southern Section playoffs and won a wild-card match. The Indians were seventh in the league and didn’t qualify for the postseason, but have improved immensely. The Bulldogs are 4-2 in all matches and 3-2 in league play, while the Indians are 3-5 overall and 3-3 in league action. The Bulldogs’ doubles teams collected eight of the dozen points and were paced by the No. 1 tandem of senior Luciano Dapuetto and junior Ethan Lee, who buzzed through 6-4, 6-3, 6-2 over No. 1 senior Luc Thorn and senior Kiet Hoang, No. 2 junior Mark Do and sophomore Sebastian Muga and No. 3 junior Daniel Cho and junior Rafael Munguia. Dapuetto said he thinks that visiting Burroughs has improved. “I heard that they had new singles players and that we have good singles players, but we had good strong doubles,” he pointed out. Dapuetto said he and his partner get along very well. “Ethan and I have good chemistry, so I think whichever team comes our way, we’re able to adapt and able to come through and win our points,” he said. Burbank’s No. 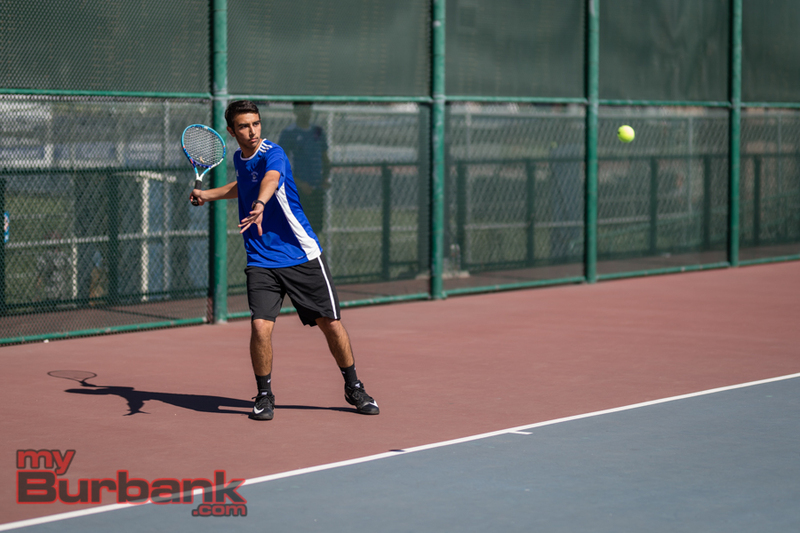 2 duo, senior Harout Abganyan and sophomore Sid Dindiluri went through the same tandems 6-3, 6-2, 6-4. The Bulldogs’ No. 3 team of sophomore Parker Katz and sophomore Dominic Sumera went 7-5 over Thorn/Hoang, 6-3 over Muga/Do, but fell to Cho/Munguia 7-5. 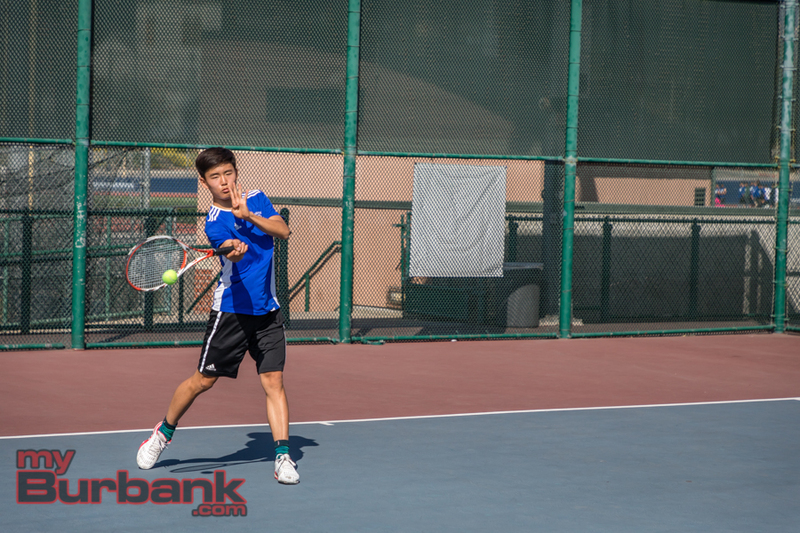 In singles action, Burbank senior James Lee easily blitzed through No. 1 senior Kendric Marcy 6-0, No. 2 Bernardy 6-2 and No. 3 junior Cameron Flowers 6-0. The Bulldogs’ No. 2 singles player, senior Nathan Soria, lost to Marcy 6-1, and Bernardy 6-3, but emerged victorious over Flowers 6-3. At No. 3, freshman Alex Galstyan was swept, losing to Marcy 6-0, Bernardy 6-3 and Flowers 6-2. 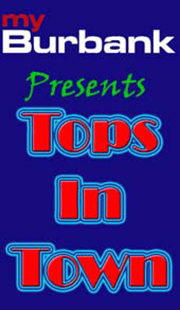 This entry was posted in Sports, Tennis and tagged Alex Galstyan, Burbank High, Burroughs High, Cameron Flowers, Daniel Cho, Dominic Sumera, Ethan Lee, Harout Abganyan, Kendric Marcy, Kiet Hoang, Luc Dapuetto James Lee, Luc Thorn, Mark Do, Nathan Soria, Pacific League, Parker Katz, Rafael Munguia, Samuel Bernardy, Sebastian Muga, Sid Dindiluri, Tennis on March 28, 2018 by Rick Assad. 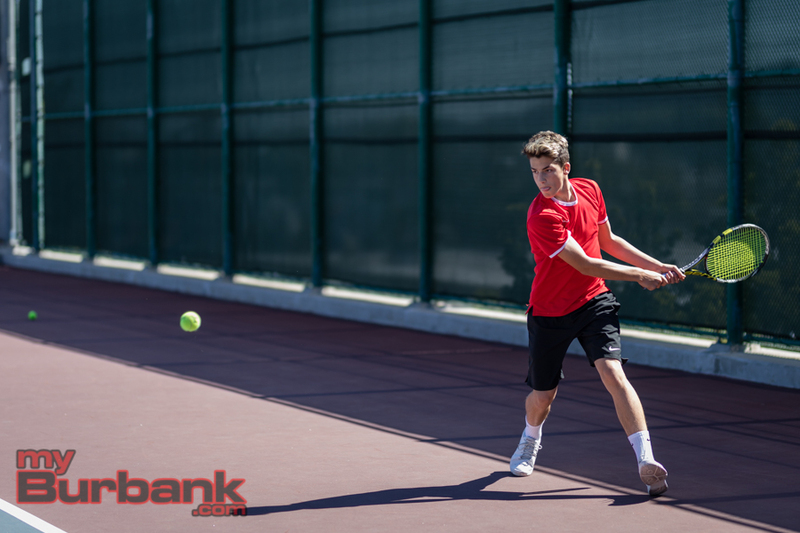 As the early sets were being contested and then recorded into the score sheet, it became fairly apparent that Tuesday’s Pacific League boys’ tennis match between Burbank High and host Burroughs was going to be a rout. After slightly more than two hours, it was exactly that as the Bulldogs prevailed 16-2 over the Indians. Burbank is now 5-3 overall and 4-2 in league play while Burroughs is 2-5 and 1-5 in league action. Spearheading the Bulldogs’ attack was James Lee, the No. 1 singles player who went 6-4, 6-0 and 6-1 over No. 1 junior Kendric Marcy, No. 2 sophomore Rafael Muniga and No. 3 freshman Sebastian Muga. At No. 2, junior Luciano Dapuetto fell to Marcy 2-6, but then rallied for victories over Muniga 6-0 and Muga 6-0. Likewise, Dapuetto, who has also played soccer, figured that it would be nip-and-tuck because of the long-standing rivalry. At No. 3, junior Nathan Soria also fell to Marcy 1-6, but then came back to knock off Muniga 7-5 and Muga 6-1. Burroughs Coach Roy Bernhardt said he could see early on that it wasn’t going to be easy. In doubles play, Burbank’s No. 1 tandem of sophomore Ethan Lee and freshman Sid Denduluri finished the afternoon with a 6-3 win over the Indians’ No. 1 squad of junior Luc Thorn and sophomore Cameron Flowers, then defeated the No. 2 duo of junior Mark Do and junior Andrei Garcia 6-0, and held off the No. 3 tandem of junior Kiet Hoang and sophomore Jack Lieblein 7-5. 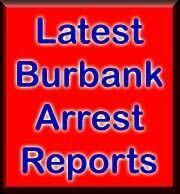 Burbank’s No. 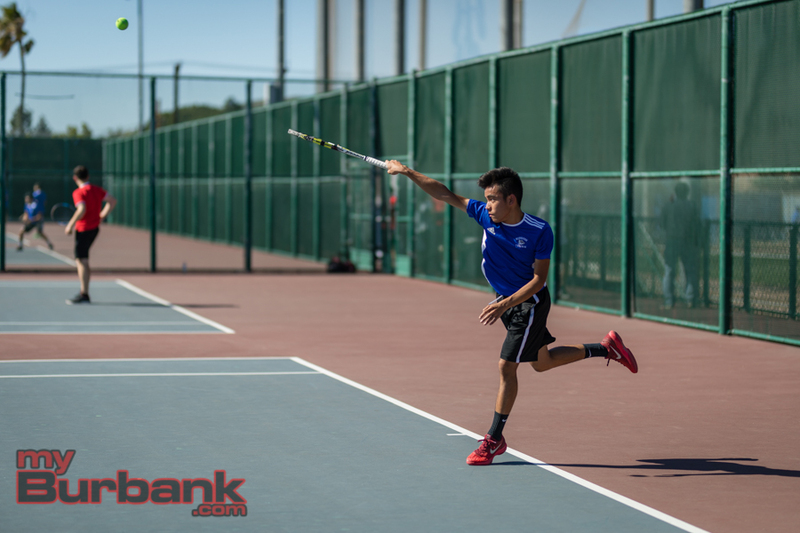 2 team of senior Alejandro Rojas and junior Emory Kim went 6-1, 6-2 and 6-3 over the same duos. The Bulldogs’ No. 3 of junior Aaron Nahn and junior Harout Abgaryan went 6-4 against Thorn/Flowers and 6-1 versus Hoang/Lieblein. Junior Greg Farhadian and Abgaryan also squeaked past Do/Garcia at 7-6. 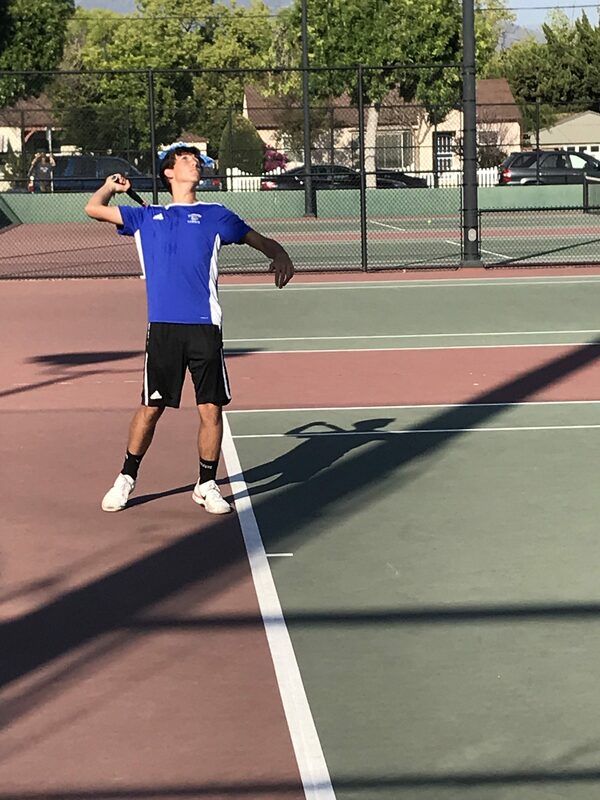 This entry was posted in Sports, Tennis and tagged Aaron Nahn, Alejandro Rojas, Andrei Garcia, boys tennis, Burbank High, Burroughs High, Cameron Flowers, Emory Kim, Ethan Lee, Greg Farhadian, Harout Abgaryan, Jack Lieblein, Kendric Marcy, Kiet Hoang, Luc Dapuetto James Lee, Luc Thorn, Mark Do, Nathan Soria, Pacific League, Rafael Muniga, Sebastian Muga, Sid Denduluri on March 29, 2017 by Rick Assad.